Now you don’t have to share your data with a third-party for making reports. 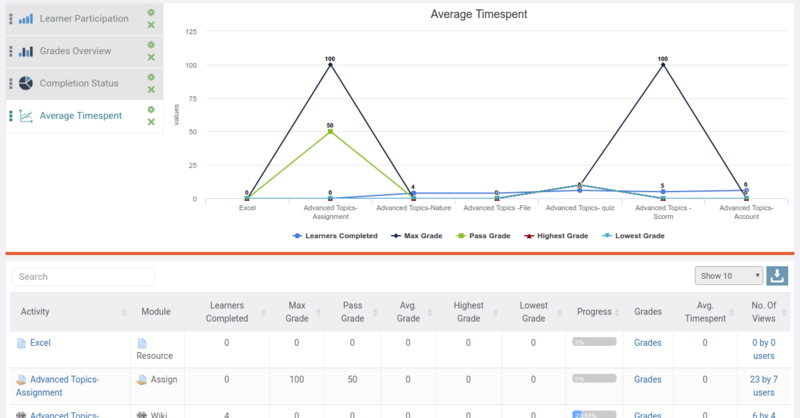 Just plugin LearnerScript, the only one of its kind for Moodle LMS from a moodler. A single report does no good to you. But multi-level reports! 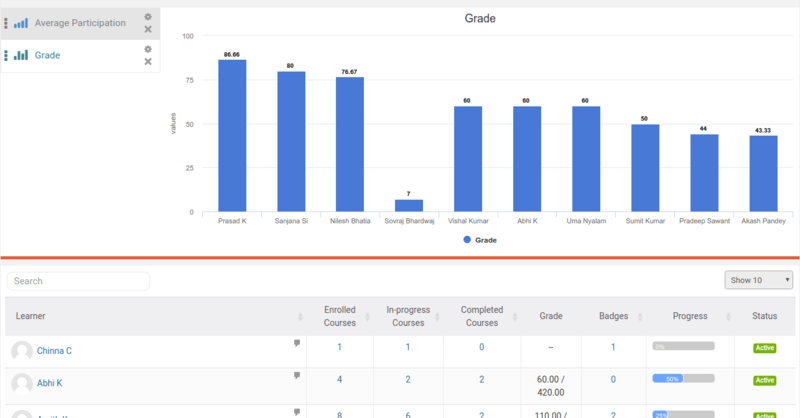 Get in-depth learning reports from your LMS data at course, user and admin-level for each role. And guess what? You can create and customize the metrics the way you want them to be displayed. 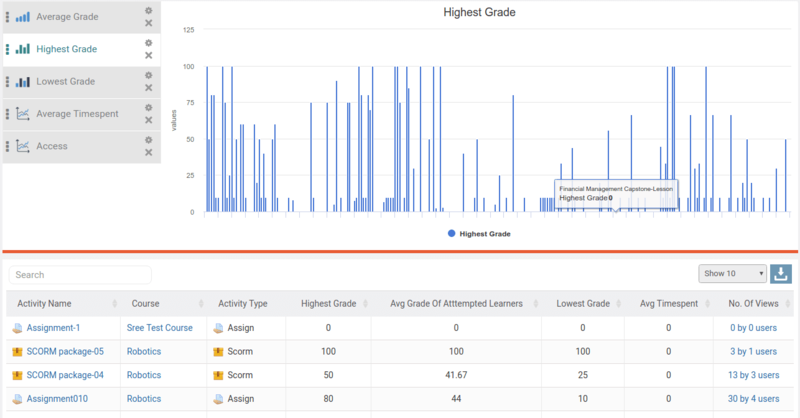 You can make the learning reports as flexible as fluid. 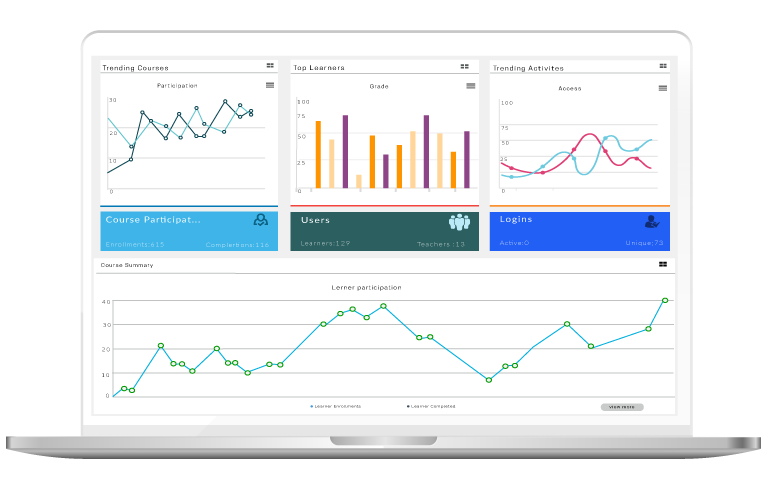 For customizing an analytical report, choose performance indicators, design charts and display them on dashboard. Okay. You want to use canned reports. They are 40 plus readily available canned reports on LearnerScript. Just tweak them to suit your reporting needs. 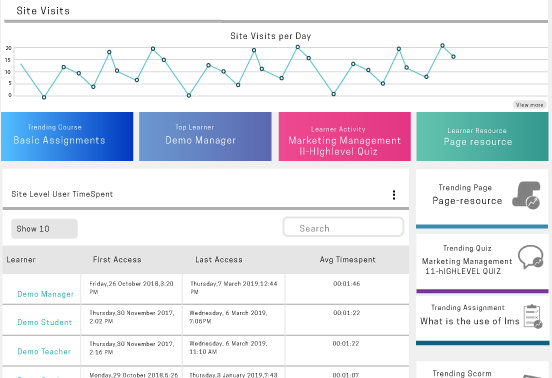 Instant access to critical learning data with simple interface. Admin can customize reports or use the simple wizard to select, display, sort, filter export and email. 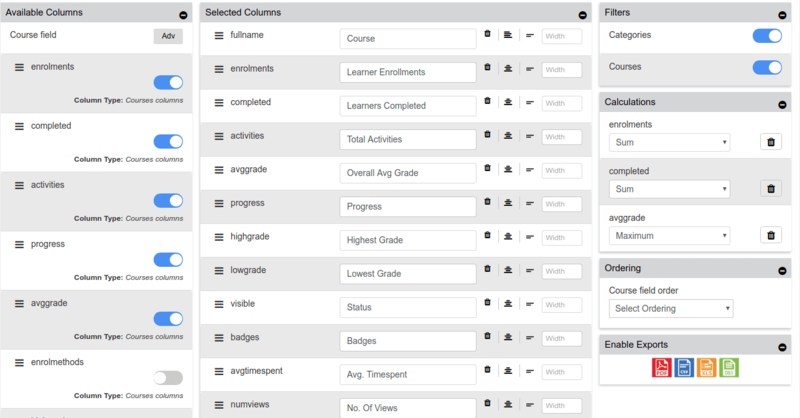 Administrators can apply standard filters and advanced rules-based filter to access any information in the LMS database.  Export to the most popular file formats, schedule reports & dashboards to run automatically and be sent to stakeholders. Ranga Residency, SBI Colony, Gandhi Nagar, Hyderabad – 500080.